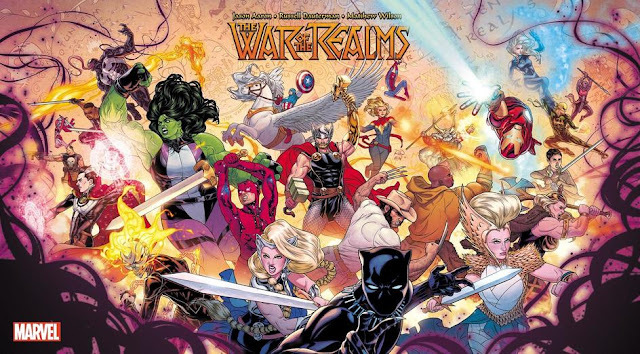 Here's a little something for some panel variety. When you have a window or a door in a scene, you can eliminate the panel borders, or even make the door or the window the panel itself. Here's an example from Will Eisner's Comics and Sequential Art. 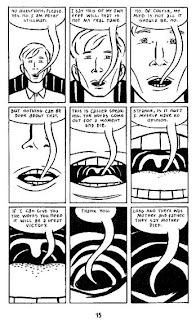 Scott McCloud suggests in Making Comics that we're so used to the idea of "panel as window" that simply removing the panel borders makes us feel as if we've gone through the window and into the world it contains. 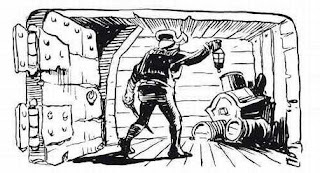 In the above example, Eisner twists that idea a bit and shows us the borders of the door, but the borders take on the characteristics of the setting. The technique is different, but the effect is the same. It involves the reader. 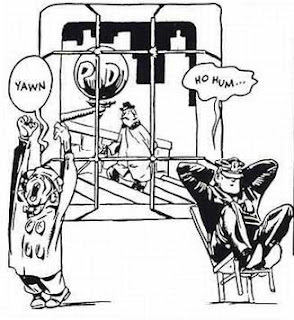 Here's another Eisner example. 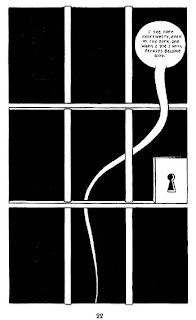 In this case, there are no panel borders, but the window is there to keep the illusion of the panel, with two characters in front of it. In such a way, the illusion of depth is created, and putting panel borders around such a scene would actually neutralize that effect. Using doors and windows as panels are pretty effective when you're working within a constrained grid as well, because doors and windows share much of the same characteristics (they're perpendicularly angled quadrilaterals, which is just me fancily saying rectangles and squares), so you can use them to adhere to your strict pattern, like in Paul Auster's City of Glass, adapted by Paul Karasik and David Mazzucchelli. Early in the book, we meet Peter Stillman, who's not really all there in the head, and he relates his life story. This goes on for a few pages (using non-sequitur panels and image choices, but adhering to the nine-panel grid), until Karasik and Mazzucchelli take the exact same structure, except instead of using nine panels, they use the door of a prison cell. It's a pretty effective way of getting across that the story is locked into some constraint (you have to figure out what that constraint is while reading the book). 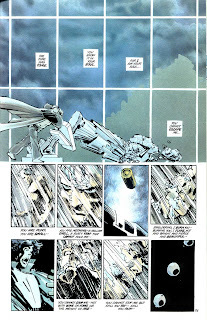 Another example is from Frank Miller's Dark Knight Returns. 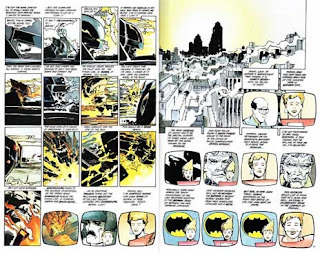 Miller used a sixteen-panel grid to constrain the entire series. 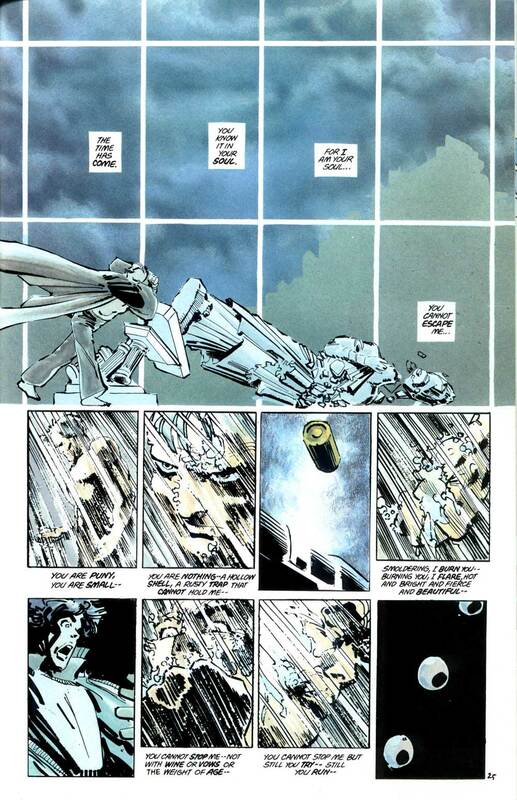 At one point, when Batman's recounting his origin, he knocks over a statue. The windows fall into the same shapes and sizes and placement as eight regular-sized panels, that it takes that one moment—Bruce knocking the statue over—and kind of fractures it into that time frame that eight panels signifies, despite the fact that it's really just one drawing. It's almost like a polyptych in that sense. Don't overdo it, of course. 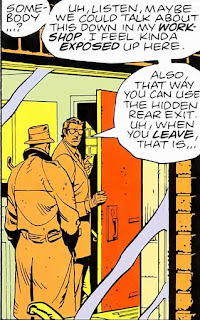 Watchmen by Alan Moore and Dave Gibbons had an opportunity to do so here, but because Watchmen was even more constrained than DKR or City of Glass, and necessitated a more straightforward, fancy-free type of storytelling, doing so in this panel would have been awkward. through the window. 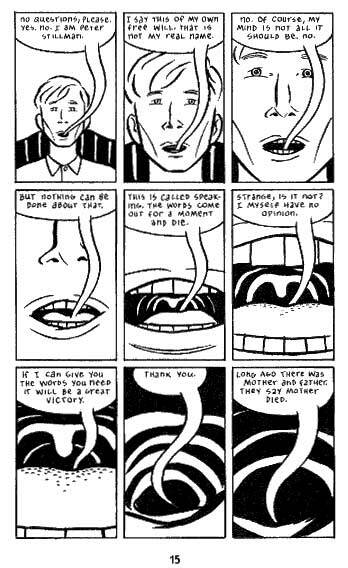 Beautiful visual storytelling.